As much as we don’t really want to admit it, Samuel Ross’s decision to use the Vomero 5 helped revive it from the graves of the archives and edging it closer to designer status. It’s multi-layered structure adds depth into the silhouette, and the peeling off the protective coat allows for accelerated aging according to the wearer. Which then follows up with the normal Vomero 5 without the “air-cond” unit at the heel portion of the shoe in both triple white and triple black. Very pretty iterations of the shoe, that only serves to cement its presence in the hype of it all. 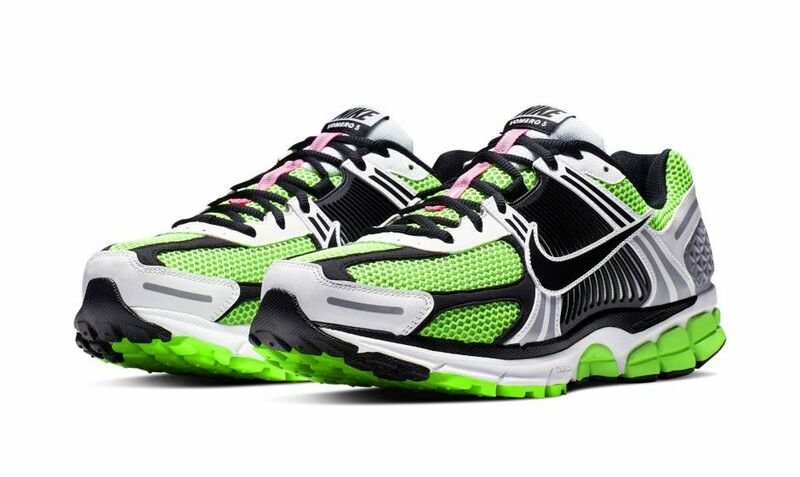 Now though, the Swoosh has taken upon itself to really discover back to what the Vomero 5 actually is, a running shoe. Special Projects has come up with 3 colourful renditions of the model, featuring more intense colour blocking that brings out the layers of the silhouette. Electric Green, Racer Blue, and Dark Grey are chosen for the colourway upgrades, matched with several undertones of white, black, and grey to create a rendition that dips into its roots. All three colours of the Nike Zoom Vomero 5 will release on the 18th of April, 2019 for a price of RM 649.